Property management companies and rental property owners can access tools including a professional website builder, full accounting, automatic listing syndication to 20+ popular websites, and free tenant ACH payments. With no hidden fees, setup or onboarding costs, and no long-term contract, CICTotal Manager™ is the most cost-effective platform for landlords and property management firms. Pricing is based on the number of units in a subscribers portfolio, with discounted tenant screening provided by CIC. Contemporary Information Corporation™ (CIC™), the nation’s leading provider of background screening, has unveiled a selection of their features included within CICTotal Manager™, their property management software. Powered by Rentec Direct, an industry leading software provider, the robust software platform features tools that aim to empower growth within the rental housing industry. CICTotal Manager™ has been enhanced to better help subscribers fill vacancies quickly, collect rents on time, and see results in real time. 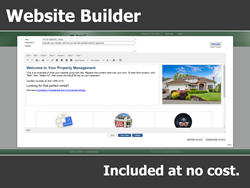 Included within the service is a professional website builder (complete with tenant and owner portals, and free tenant ACH payments), full bank, property and tenant ledger accounting, and online file management. CICTotal Manager™ is also equipped with online marketing capabilities, where users can publish vacancy listings (complete with pictures, details and pricing) to popular rental listing websites. 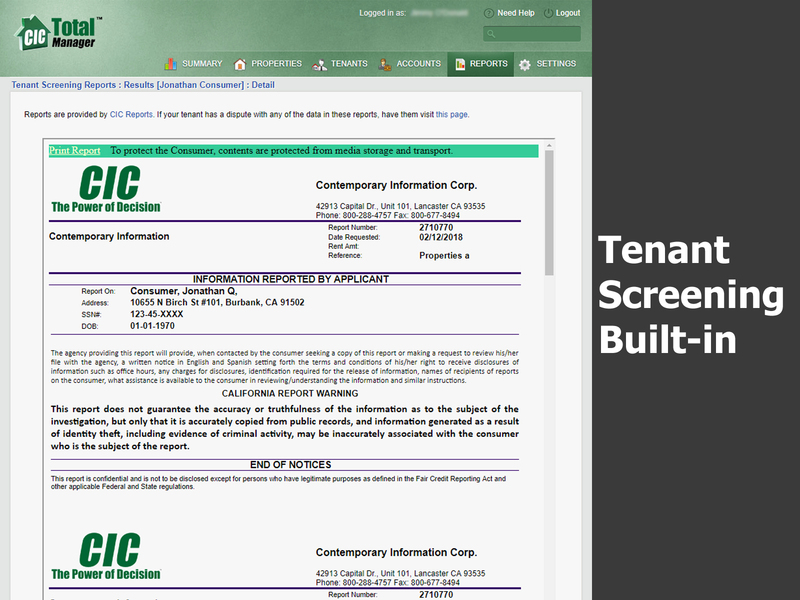 Powered with quality tenant screening from CIC™, users can rest assured that they’re connecting to the right tenants for their rental property. Since 1986, CIC™ has provided property management companies excellent service and quality information, and extends this commitment to all CICTotal Manager™ subscribers. CICTotal Manager™ offers unlimited access to U.S. based customer support and 24/7 technical support. In celebration of the new launch of their property management software, CIC™ is raffling off a $100 Visa gift card until March 16, 2018. To enter the giveaway, CLICK HERE.